I love days like these and more precisely Spring days, when everything is brought to life and the weather is just great. A sweater and a pair of pants are just perfect for going out especially if a bold color is also involved in this scheme. Casual with a twist is how I call this look and I hope you like it! Wow I love your pants! Love this look Veronica and how you mixed it with all these bittersweet colors… I got a stripped pants too! You absolutely inspired with your styling expertise in this look dear Veronica! Stripes and bold color blocking! Urban princess of the sartorial type! You are smart, love how you’ve combined the colors. bright and perfect for spring! love it! Those pants with the chunky knit are just perfection!!!! 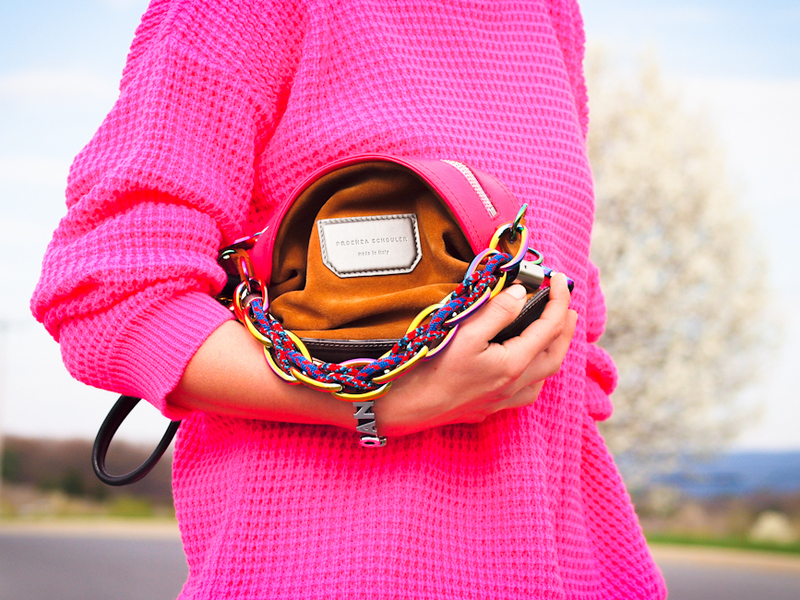 The perfect Spring outfit, great colours and that bag… I die! hope all is well with you V.
These striped pants are awesome. I love the bright pink sweater and those heels. Gorgeous! You are so rocking those pants! They are lovely and the bag is just to die for! You look great, this outfit is so elegant and cool! Amazing look! As beautiful as spring! That pink sweater is amazing! Wow what an incredible pop of colour (well more than a pop really:) ). Great combination! Love, Love, love All!! !amazing mix of colors and stripes!!! Wow, incredibly chic outfit. Adore the stripes and the bright colors! Great combo of pink and stripe.Love that knitted sweater.The bag is also attracting.